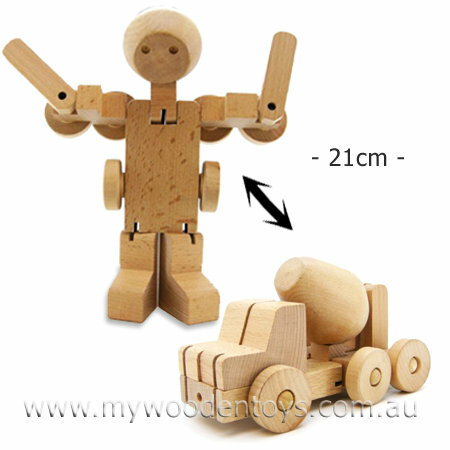 Large Wooden Cement Truck Transformer looks like a wooden cement truck but in fact is a 21cm tall robot ready to take over the playroom. With a few twists and turns this clever toy is a truck and then a robot. Held together with strong black elastic all its joint can be easily manipulated. By following the enclosed instructions you can turn it from a cement truck to a robot and back again. We like this because: "The way the cement mixers barrel becomes the head."